The print comes unmatted and unframed, but is sized to fit nicely into a standard 16" x 20" frame of your choice. 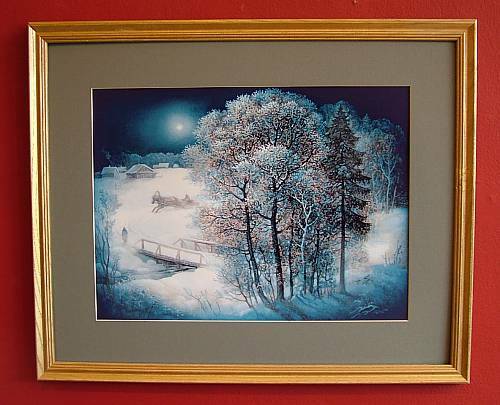 We have included the image below below to give you some idea what it might look like with a frame. 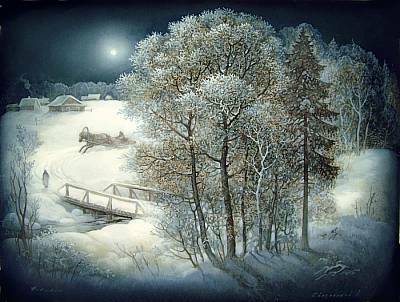 Hanging this beautiful print on a wall in your living room will bring the wintry beauty and coziness of the Russian countryside into your home.